How do I get a K.O.I. Guide? You can ONLY get the Guide by becomming a K.O.I. Member! 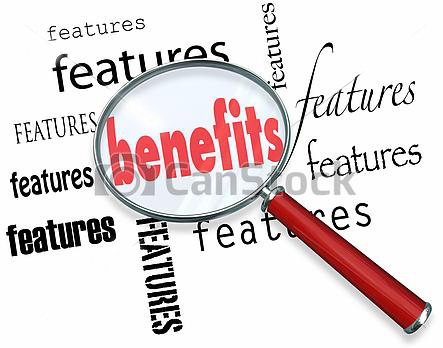 When you register on the web site, you prove that you are not a bot, and get access to much of the web site content. ALL for $24! CLICK HERE to learn about membership options and to become a member. Renewals are only $15 per year, and for renewing, you get the current Guide Supplement. CLICK HERE to learn about the Guide and Supplements. 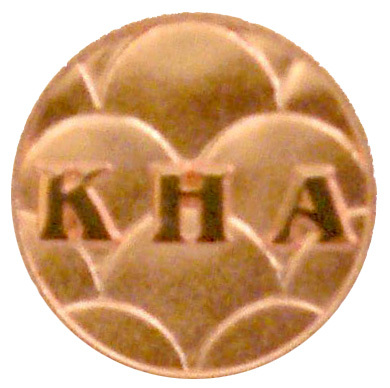 I'm a KHA - Can I Cross-Certify as a CKK? What makes the K.O.I. program different from others? K.O.I. courses and reading material is science-based, not just heresay! K.O.I. does real work to improve the hobby, they don't just talk about it! K.O.I. courses are open to ANONE, not just members! K.O.I. courses can be taken in any order, at any time, from your home computer - no travel required! K.O.I. offers the option to "Audit" courses (buy reading material only) if interaction with the instructor is not desired, and you just want to learn on your own! K.O.I. is an international organisation - with instructors and students from all over the world, including Canada, the UK, the Neatherlands, Denmark, Holland, Sweden, Germany, South Aftrica, Japan, Indonesia, Brazil, Australia and more every day! K.O.I. charges small fees for courses and some ebooks to keep the web site running, and has used funds to provide scholarships for interested students. In 2014, K.O.I. along with the WWKC donated 20 Certified Koi Keeper scholarships! K.O.I. Offers a no-quibble refund policy that says essentially that if anyone doesn't like one of our courses for any reason, and they tell us that (within a reasonable time), we'll give them their money back! K.O.I. is focused on having FUN in the hobby! Healthier Koi makes happier hobbyists! Science-based knowledge = success = FUN! How do I get a K.O.I. Lab Kit? The K.O.I. 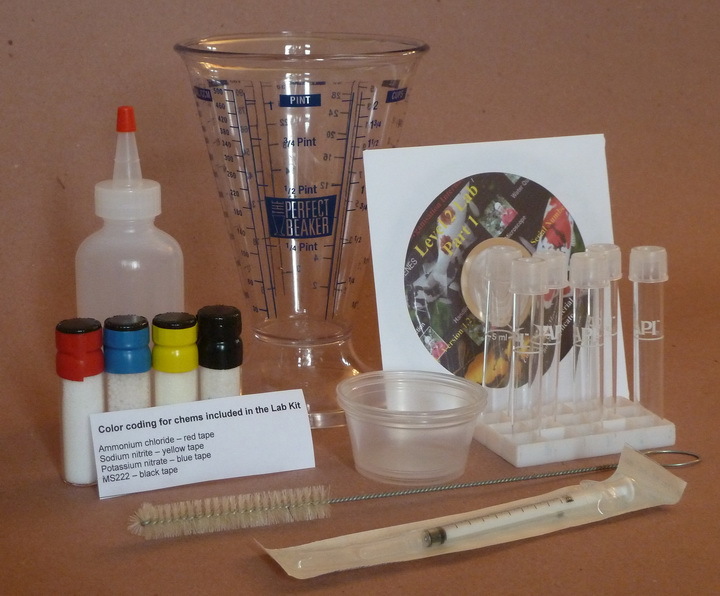 Lab Kit pictured above is sent to you when you purchase and take course #220 - Lab. How hard is it to finish all 9 CKK courses withing a year? The CKK program allows all students one complete year to study the material and pass the tests. The instructors are focused on learning. This manifests itself in whatever coaching it takes to have the students understand the material and pass the exams. Literally no one who has stuck with it, has failed to complete the curriculum. All exams are "open book." This should address most short term memory concerns. One key to easily finishing within the year is not waiting to get started and, once started, continuing to keep at it. There are only 9 courses and 12 months in which them to complete them. That works out to over 40 days each, on average, which is nearly 6 weeks. Example: we had one guy finish a similar group of courses within about a month. YOU CAN DO IT! Your instructors are here to help! What are the benefits of being a K.O.I. Member? Access to NEW Articles before anyone else sees them! What if I don't want to actually take a course, but I do want to read the material? K.O.I. Offers you the option to do either! You may buy JUST the READING MATERIAL ONLY for a course, and not have to do homework, take tests or interact with the Instructor. CLICK HERE for a quick list of the courses for which you can buy READING MATERIAL ONLY. Sometimes - you just want the information! K.O.I. hears you! Prorated membership - $2 per month (Now thru Sept 30*), you get all the perks of membership - but no Guide. *The K.O.I. Fiscal Year is October 1 thru September 30. Note: All memberships are family memberships! What is the Guide and Supplements? The "Guide" is a waterproof yellow binder with the 30 waterproof pages of all the information that you need to know, but sometimes forget. It includes charts, diagrams, drug dosages, and lots more information! It was first published in 2012, and is available to Members ONLY! When you purchase a brand new membership at K.O.I., you get the Guide as one of your membership perks! In 2013, we published an additional 29 waterproof pages called Supplement #1 that members could file in their existing "Guide" binder. Members who renewed their membership in 2013 for the 2013 - 2014 year got another 30 pages called Supplement #1. In 2014, we published yet another 30 pages called Supplement #2 - again, these are pages for members to file in their existing "Guide" binders. Members who are renewing their membership in 2014 for the 2014-2015 year, get Supplement #2. If a new member buys the "Guide PLUS" option, they get the waterproof binder with the original 30 pages, plus BOTH Supplements - for a total of about 90 pages! The same options are available to clubs. A club that purchases a new membership for $100 gets a copy of the Guide for their club library. Clubs also have the "Membership PLUS" option for $140, and they would receive a copy of the Guide PLUS ALL Supplements. Where do I get my downloads if I purchase a Course or Ebook (even a FREE Ebook)? If you are buying a K.O.I. Course or Ebook (even FREE Ebooks!) , the downloads will be available immediately after checkout in your "My Account" tab, under "Files." You will also receive an email with the download links. Why is Organisation spelled with an "s"? 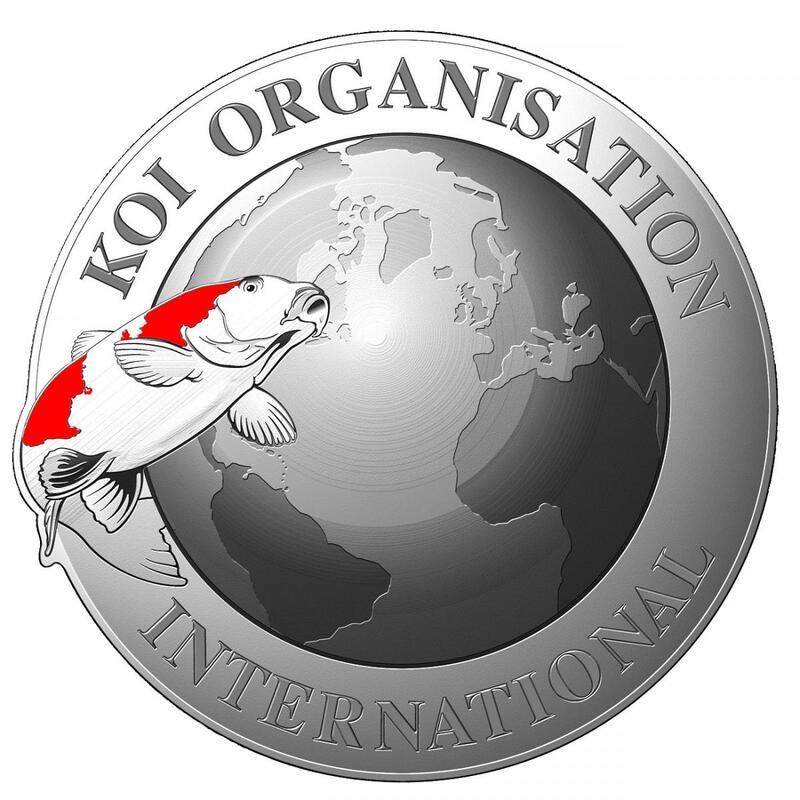 The logo and name were chosen to reflect both the focus on Koi and the international nature of the group – therefore the use of the “s” in Organisation. About mid-year of 2009, a small group of dedicated Koi hobbyists (aka “fish geeks”) were searching for a suitable outlet for their desire to both learn more and teach others about good Koi husbandry. The group grew into a steering committee of more than 25 members. As the possibilities were discussed, the group observed that they were not just US-based Koi enthusiasts, but their ranks included members of the international community. Further, it was recognized that since much good information comes from around the world, any thoughts of restricting the group’s participants to the US would seriously limit their efforts. And, since face-to-face interacting is impractical on a world-wide basis, it became evident that the Internet presented the most logical venue. However, observations of postings on the Internet consistently revealed that much of the information there is unsupported personal opinion or sheer speculation. This underscored the need for evidence-based information that is current, accurate and useful. Putting all these needs, observations and ideas together and following them to their logical conclusion, the group decided to form an international, internet-based teaching and learning organization to provide fact-based information for the hobby. Current, Accurate and Useful is what we do at K.O.I.! How do I get help with an order from the K.O.I. store? What Certifications Does K.O.I. Offer? K,O.I. offers several certification programs. All have package deals. The most popular is the Certified Koi Keeper curriculum, which includes 9 courses that should be of interest to anyone that keeps Koi. Graduates are known as Certified Koi Keepers. A Specialist may also be a Certified Koi Keeper. A person may have several Specialist certifications. To become certified as a K.O.i. Specialist, a K.O.I. Certified Koi Keeper that is in good standing is only required to take any additional courses that they have not already taken. A K.O.I. Specialist in good standing is only required to take any additional courses that they have not already taken in order to become a Certified Koi Keeper. All Specialists will require 7 CE credits to be obtained every 2 years in order to maintain that certification. Credits for multiple certifications are additive – e.g., a person that is a Certified Koi Keeper and a K.O.I. Biology Specialist will require 22 CE credits every 2 years in order to maintain both of those certifications. K.O.I. offers a Show Water Quality Specialist Certification to assure that those who are in charge of water quality at Koi shows or club auctions understand the principles of what is needed to keep Koi healthy at events. K.O.I. offers a Certification in Pond Science, which is intended for those who build, repair, maintain or help people with ponds. Can I get a Group Enrollment Discount? Special Pricing for Koi Clubs (or Groups) that are members of K.O.I. Groups of 4 to 20 students can be accommodated with special offerings. Group pricing as low as 1/2 price! Contact Karen (pattist@snet.net) for more info! I want to make a donation, but don’t want to use PayPal, what are my options? I’m having problems viewing all of the K.O.I. web site. What can I do? How will my membership and donation money be used? All the money raised for K.O.I. is used for operations. Koi Organisation International, Inc. is organized exclusively for educational and scientific purposes within the meaning of Section 501(c)(3) of the Internal Revenue Code. We are a corporation and we have received non-profit status. Therefore, your donations will be tax-deductable. This is primarily a volunteer organization and all the officers and the overwhelming majority of our core group are volunteers, i.e., they don’t get paid. In fact, many of them donated their own money to provide the seed capital to start K.O.I. But even a non-profit has expenses. There are web expenses, software and mailing expenses, and expenses in stocking the store. A couple of our instructors receive a small stipend for their time, while most just donate it. K.O.I. revenues in excess of expenses is used to further our mission. In every year since 2014, K.O.I., in conjunction with the World Wide Koi Club (WWKC), donated a total of 20 scholarships for students to become Certified Koi Keepers (CKK), working towards the goal of having at least one CKK in every state to become the resident local expert for hobbyists seeking help. Everyone here at K.O.I. loves the Koi hobby. If you are one of those people who also want to help, please contact Karen Pattist ( pattist@snet.net ).